Welcome dedicated sim rally enthusiasts to season 5 of the DSRL Rally Championship on Dirt Rally! Please post in this thread to register for Season 5. The season will begin on Thursday January 18th and will consist of six rounds, each lasting one week. Each round will include 8 stages with the fourth stage at every event seeing the return of the fan favourite power stage, where crucial extra points will be on offer to all drivers. 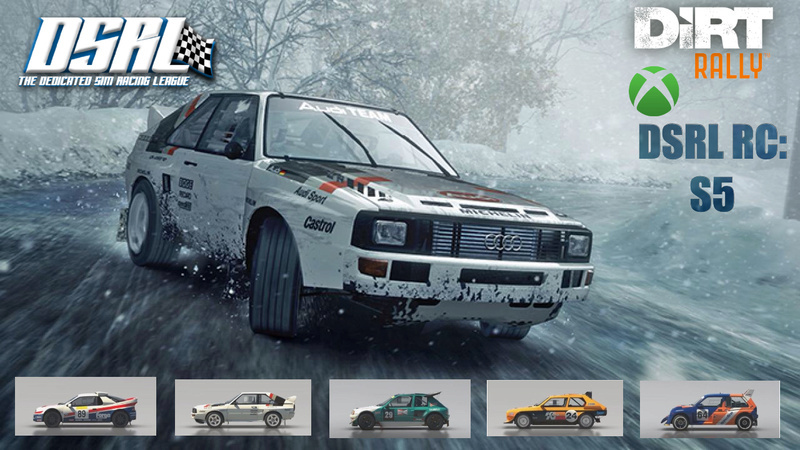 For season 5 we will be using the legendary 1980's 4WD Group B class, this era of rallying produced some of the most bonkers cars in all of racing history! *To be eligible for the power stage points, you must take an Xbox game DVR gameclip or screenshot of your stage 4 time and upload it to either here on the forum or to the DSRL Xbox club. This must be done during the active rally week or within 24 hours of the round finishing. No show/DNS for 4 consecutive rounds without prior notification to admins: Immediate championship expulsion & banned from registering for the next DSRL RC season, gamertag recorded on DSRL driver probation list. *The championship will be hosted and organized through Codemaster's Racenet, so an active account is required to enter. The sign up for This account should have been created when you first played the game and it can be easily accessed through the Xbox browser under the "leagues" tab. It is advised you become familiar with navigating the site and league area if you haven't looked at that yet. *Once the season begins (first stage completed), car choice cannot be changed. You must use the same car for all events. *We expect all sign ups to participate in all scheduled rallies as they are each going to be open for entry for a whole week. If you know you are going to miss a scheduled event we would ask that you message a DSRL admin/organizer and let them know before to ensure you are not penalized for it. Be warned that if you register to this championship and still heavily abuse the penalty system by not participating in rallies, you will likely be unable to register for future events and will also be noted as a poor participation driver on the DSRL, negatively impacting your driver reputation. 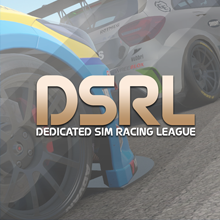 *Existing DSRL RC Racenet league members from previous seasons must register for the current season in order for any rally times/ points to be counted. If you find yourself removed from the racenet league, make sure you are properly registered for the active season and submit a new request to join. *PLEASE save a screen shot of your Event finishing times (power stage too!). This may be needed in the event of a Racenet failure. If required and no time evidence is provided, no points can be issued to the driver without proof of their final time. IMPORTANT: When you have posted your signup, Search for "THE DSRL RC" on racenet or follow this link https://www.dirtgame.com/uk/leagues/league/66869/the-dsrl-rc and your request to join will be accepted once registration is confirmed. I have read and understand all the DSRL Rally Championship rules: Yes. Good to see you back Sloe, looking forward to some more rally action! Yeah, I`ve been looking forward to the new season and can`t wait to get started. I have read and understand all the DSRL Rally Championship rules. I'm gonna give this game another try. I'll be at the back trying to survive! Thanks a bunch, Epileptic Toast. I'm excited for my first shot at a league. I had some time with Dirt 4 earlier today and I'm hoping to play some Dirt Rally/4 everyday to get myself back into rhythm. Haven't done any rallying since before Christmas! Welcome to the DSRL, Nottz Sarcastic!